Marc Hendrickx completed a research masters looking at the health implications of natural occurrences of asbestos in eastern and South Australia at Macquarie University in 2009. The conclusions of the research suggested that while the overall risks of exposure from natural sources of asbestos were low, it still constitutes a potential health risk in certain circumstances due to the highly toxic nature of the substance, especially where asbestos bearing rocks are disturbed in a manner likely to release respirable fibres. As the distribution of potential asbestos rocks is well known, through existing geological maps, future disturbance can be easily avoided and managed. Anyone having concerns about exposure to natural sources of asbestos fibre should contact their state geological survey, or public health department for further advice. Contact Marc if you are interested in a copy of either paper (see below) or in any site specific geological advice on NOA. This project aims to investigate the geology of asbestos in eastern Australia (Queensland, New South Wales, Victoria and Tasmania) and South Australia with a view to assessing the potential health implications for mesothelioma, a rare form of cancer caused by asbestos exposure. Potential asbestos-bearing rocks account for about 0.2% of the land area of eastern Australia and about 2.5% of the land area of South Australia. In the eastern states the main mode of occurrence is in serpentinised ophiolite complexes along the boundaries of major tectonic domains that contain sporadic deposits of cross fibre and slip fibre veins of chrysotile asbestos. 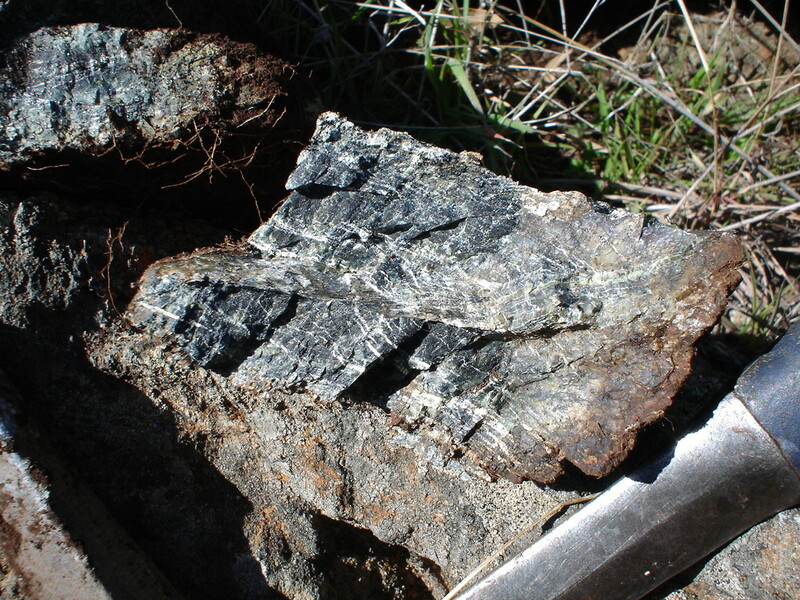 Smaller deposits of chrysotile and amphibole asbestos occur in metamorphosed mafic and ultramafic rocks associated with the Macquarie Volcanic Arc in central New South Wales. Amphibole asbestos is also known from Proterozoic and Palaeozoic amphibolite and from Devonian basalt. In South Australia asbestos is hosted by carbonates, mainly dolomites in the Hutchison Group in the eastern Gawler Craton, and metasomatised dolomite and limestone in the Adelaide Geosyncline. The main asbestos minerals in South Australia are asbestiform magnesio-riebeckite (AMR) and fibrous tremolite in the Adelaide Geosyncline and chrysotile in the Gawler Craton. Natural asbestos-bearing materials in eastern and southern Australia have been disturbed by mining, road construction, agriculture and forestry, urban development and natural weathering processes. International epidemiological studies indicate that populations regularly exposed to amphibole fibres from natural sources for a long period of time are at greatest risk with respect to mesothelioma. All reported associations between asbestos exposure from disturbance of natural asbestos-bearing materials and mesothelioma are due to varieties of amphibole asbestos; no cases involving chrysotile asbestos alone have been reported. Only a very small portion of the population of eastern and South Australia is considered at risk of being exposed to fibres from disturbance of natural asbestos occurrences. While amphibole asbestos disturbed by human activities and natural weathering has the potential to account for some deaths from mesothelioma the overall incidence rate for those exposed to asbestos from natural sources is estimated to be less than 1 in 1,000,000. Persons considered most at risk of potential exposure include: rural workers and communities in towns close to areas of intense agricultural disturbance of asbestos-bearing soils, construction workers involved in large scale earthworks projects in areas underlain by asbestos-bearing rocks and soils, and quarry workers who unwittingly disturb asbestos-bearing materials. Government authorities need to take geological factors into account to reduce the likelihood of unplanned disturbance of natural asbestos-bearing materials, particularly those containing asbestiform amphiboles. Increased awareness of the location of known and potential occurrences, and of the health risks should help reduce the incidence of accidental asbestos exposure. Toxicological studies are required to better understand the potential health risks associated with AMR. Epidemiological studies suggest the risks of mesothelioma for those exposed to chrysotile fibres alone from natural sources are negligible.